The company is enlisted among the trusted Manufacturers, Suppliers and Exporters of Solvent Orange 2 from Maharashtra. 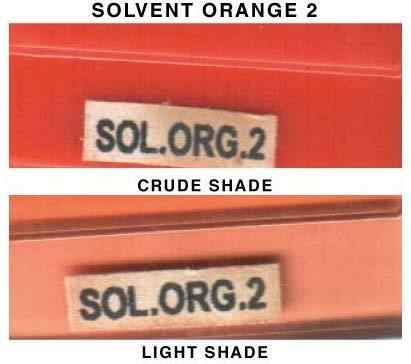 The Solvent Orange 2 dye offered by us is formulated in neat and hygienic conditions using advanced technology. In order to meet the bulk and urgent requirements of the buyers, we maintain a large stock of the Solvent Orange 2 Dye in our warehouse.